Bille August's Night Train to Lisbon (2013) takes on the difficult task of translating Pascal Mercier's densely packed novel Nachtzug nach Lissabon into a 111-minute movie. The result is good, if not great: good enough for me, at any rate. From this film, I learned something about modern Portuguese history, particularly about the effects of the Estado Novo, or de facto dictatorship under António de Oliveira Salazar (1889-1970) and Marcello José das Neves Alves Caetano (1906-1980), an oppressive status quo that was dismantled by the Revolução dos Cravos or Carnation Revolution beginning on April 25, 1974 (Freedom Day in Portugal). 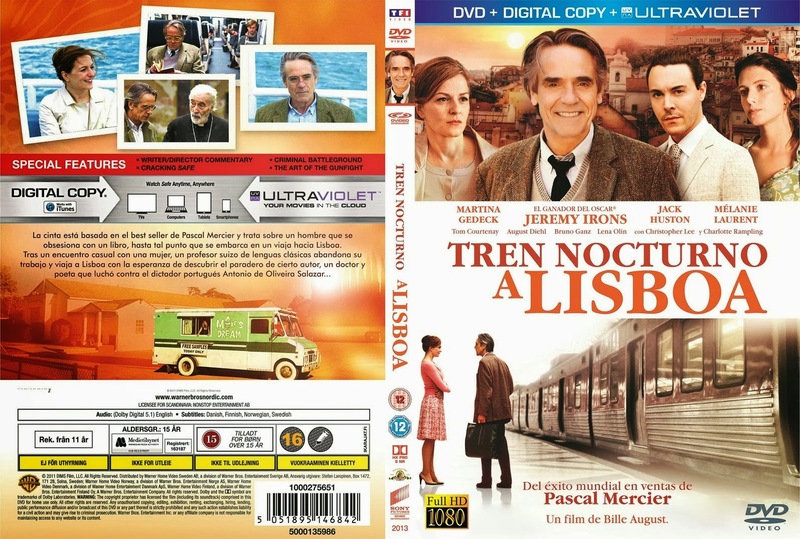 The catalyst for the film's plot arrives quickly when a woman looks about to jump from a bridge in Switzerland; soon the Jeremy Irons character, who "saves" her, walks out of the middle of a class he's teaching and, before you know it, takes the night train to Lisbon. An exhilarating idea for many people, no doubt -- in that way, not unlike John Updike's 1960 novel Rabbit, Run. The strong international cast of Night Train to Lisbon ranges from Jeremy Irons as a sort of Mr. Chips professor to Christopher Lee as a hoary priest; from Mélanie Laurent as a tough resistance coordinator to Charlotte Rampling as Amadeu do Prado's slightly barmy sister; from Jack Huston as Dr. Amadeu do Prado to Bruno Ganz as his grizzled friend looking back; from Martina Gedeck as a sharply observant and sympatico eye doctor to Lena Olin as Estefânia in the present. 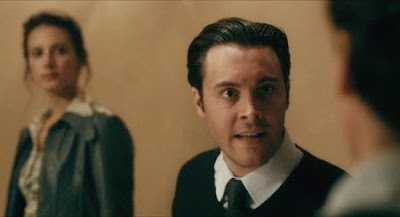 Flashback is utilized as a connecting thread, so many characters have double actors playing them. Finally, Lisbon provides a colorful, light-suffused backdrop for much of the film. I know so little about portugal, but that country has such an interesting history.